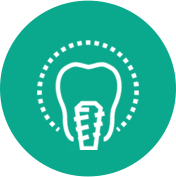 For dental patients who are considering procedures involving dental crowns, we have good news! 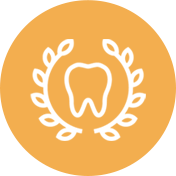 Getting a dental crown is now easier and more affordable than ever before. The team of dental care experts at Hazel Dell Dental Center have compiled a comprehensive list of the benefits you can enjoy once you’ve made the choice to get a dental crown placed on one or more teeth. Read on and discover how dental crowns can enhance your life and your smile! Looking for a Vancouver, WA dentist? Click here. Be honest, when’s the last time you really smiled for the camera? If your teeth are a source of embarrassment for you, it can be difficult to really smile with confidence. 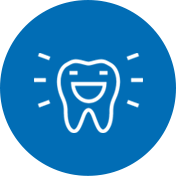 Opting for a dental crown to replace a cracked, discolored or missing tooth can enhance your smile, boost your self-esteem and give you the confidence you need to smile with your whole self again! If your teeth are cracked, broken, or otherwise damaged, one of the worst things you can do is leave them in your mouth unprotected, where just one wrong bite can spell disaster! Prevent your less-stable teeth from being lost by protecting them with dental crowns. Not only will this strengthen your bite and improve your quality of life by allowing you to enjoy chewing food again, but it will also keep you from needing extractions, root canals, and other potentially painful and expensive procedures. Dental crowns are one of the longest-lasting types of dental restoration, and can last for years upon years if properly cared for by the patient. Your smile will be able to withstand years of natural wear and tear with dental crowns covering your weaker or damaged teeth. Vancouver, WA’s resident dental crown experts at Hazel Dell Dental Care have over 35 years of experience and knowledge when it comes to dental crowns. You can trust the caring staff of dental professionals at Hazel Dell Dental Care to place your dental crown quickly and effectively, and help you maintain it for years to come! If you live in or around Vancouver, WA and are thinking about restorative dental procedures including dental crowns, contact Hazel Dell Dental Care today at 360-693-2592 and ask about our initial free consultation appointments. A healthier smile is waiting right around the corner – call today!